2. Scroll down to the Discount Table Settings and click Design. 3. 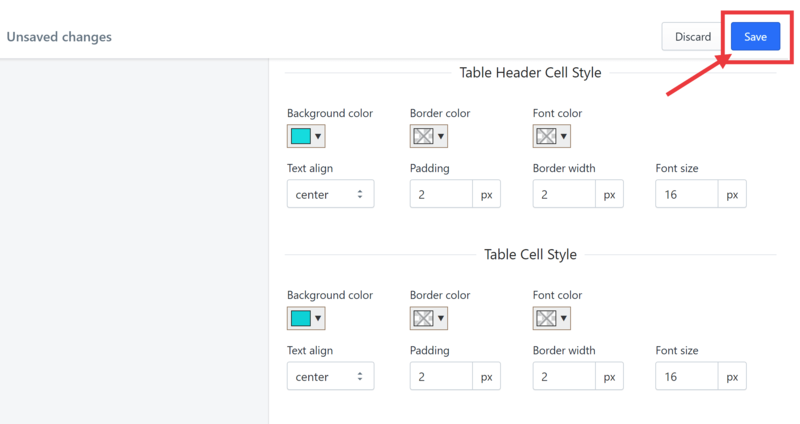 Set the Override table style to ON. 4. 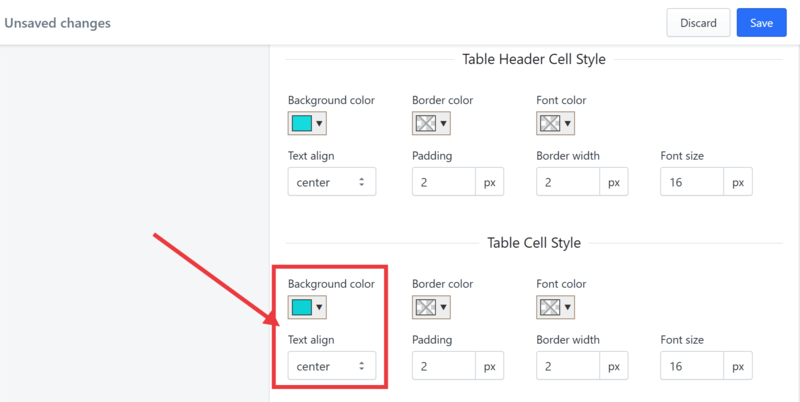 Choose the background color you prefer under Table Header Cell Style and set the Text align to center. 5. Do the same under Table Cell Style. You now have a colored background for your discount table and the texts are aligned to the center. Why can't I see my volume discount table?